I have always been in good shape. I have noticed a difference in flexibility and more fluid movement. Don’t skimp on your training. No matter what it is, conditioning or skills. Take your time to keep proper form when conditioning no matter what your number is. Only when you have consistent good form can you see your improvement. Learn the skills, pay attention in class, go slow and increase speed over time and think about them on your way home. This is a hard one. I really like it all. I would say learning new skills and how one skill flows to another. (attack – counter – attack – counter). My recent test. I had taken Krav Maga for a few years before RMSDF. Belts at other schools are nonexistent or rarely tested. Even though I had tested in the past I didn’t want to jump in to a new school like that. I signed up and asked John to put me wherever he thought I should be. Starting back at white belt, I trained hard, learned the rotations and even trained the previous rotations. I really wanted to know everything I needed for a camo belt. At the same time, I was ready to accept wherever I was placed. I made it all the way through and earned my camo belt. It was a great feeling and John gave me some kind words of respect at the promotion. Other guys came up to me after the test and told me I certainly earned the belt. It made me feel a great sense of accomplishment for myself in Krav Maga. Not many changes to my diet. My wife and I decided to eat a Paleo diet in January. I have owned a head shop distribution business for 27 years. Having a little more knowledge and wisdom every day. The staff and people at RMSDF have been great. I feel at home in the gym and everyone is very friendly and supportive. This has to be the most knowledgeable Krav Maga school I have been to. The curriculum is set up to build off of itself every month. Most Krav schools don’t do this and RMSDF does it best. The belt system is a great idea as you get to know what skills people are training at. This helps you pair up with the right people at your training level. 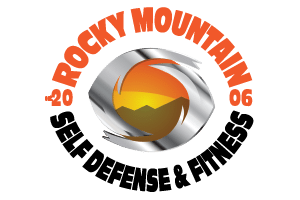 I would highly recommend RMSDF to anyone that wants to train in Krav Maga in Colorado.